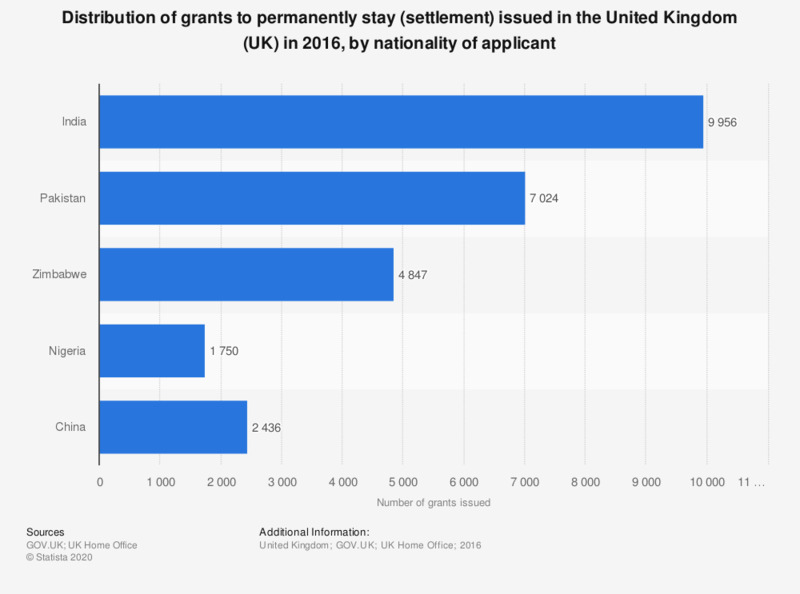 This statistic shows the distribution of grants to permanently stay (settlement) issued in the United Kingdom (UK) in 2016, by nationality of applicant. Applicants originally from India received the highest number of settlement grants in 2016. A total of 9,956 grants were issued.